120 pack of velvet hangers with a slim design to optimize closet space. Has a soft feel to prevent damage to clothing. 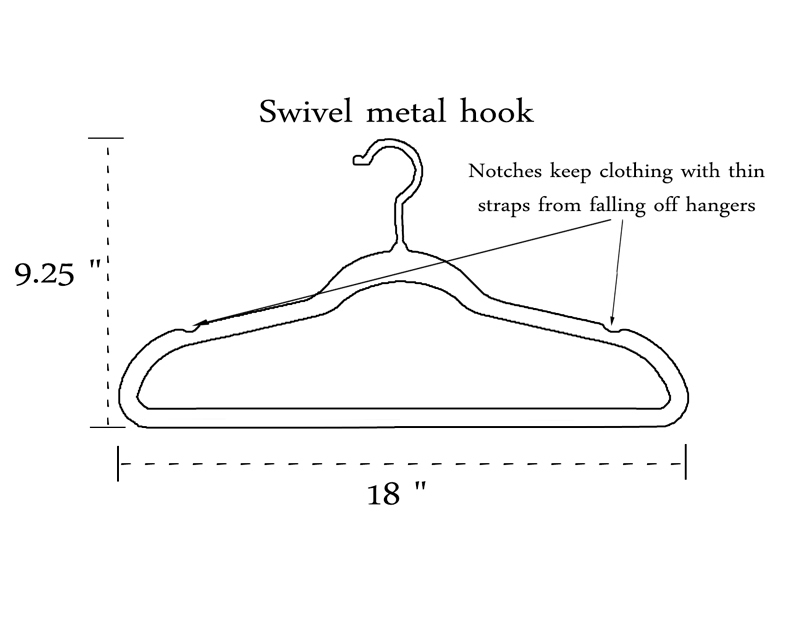 Velvet hangers have a non-slip finish, a sturdy swivel metal hook and notches to hold blouses securely. Love these hangers! I will be back for more! I ordered several sets of these hangers between the site and one other, and they are very good quality. There is some shedding on the black and purple hangers, but it is minor. The hangers don't really swivel as advertised, but otherwise they are good hangers.